If you or a family member has been injured in a fall or because of an unsafe condition on someone’s property, you need the help of a premises liability attorney in Oceanside with experience handling cases such as yours. Vista premises liability lawyer Zev Rubinstein has represented clients like you in all types of fall and premise injury claims for more than 20 years and has recovered millions of dollars for his clients. With many years of experience handling slip/trip/fall and unsafe premises cases, Carlsbad slip and fall attorney Zev Rubinstein of The Rubinstein Law Group knows what must be done to hold the property owner liable for your injuries. He has access to investigators who will obtain witness statements and document the unsafe condition(s) responsible for causing your injury, as well as, access to the experts who are knowledgeable about the Federal, State, and local codes which set the minimum safety standards for buildings and walking surfaces. He knows the steps to notifying the property owner and forcing them to present important evidence, such as surveillance films and photographs. Oceanside slip and fall attorney Zev Rubinstein understands how The Americans with Disabilities Act, The Life Safety Code, and the California Accessibility Code may be applied. 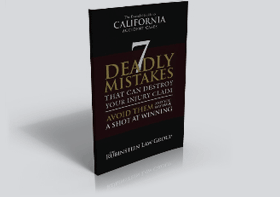 California law requires a property owner to keep their property in a reasonably safe condition and to warn you of dangers which may exist. When they fail to do this, you may hold them liable for your injury. 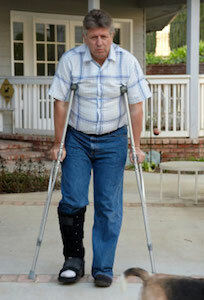 Injuries received in a fall or because of an unsafe condition can be devastating now and for years to come. These injuries require medical treatment, therapy, surgery, pain management and cause you not only great pain and suffering, but loss of the enjoyment of life, as well as lost wages and earning capacity. Most of these cases are caused by an unsafe condition which may be repaired, replaced or eliminated after an accident occurs. Proving the dangerous condition requires prompt investigation to photograph the scene, have it investigated by an appropriate expert if necessary, and obtain witness statements. Our slip and fall attorney in Carlsbad has access to investigators and experts to promptly investigate your case. We know, if you have been injured, it is stressful dealing with a claims adjuster who wants you to provide a recorded statement and sign medical authorizations and/or claims forms. We will relieve you of this burden, deal directly with the adjuster on your behalf and allow you to concentrate on recovering from your injury. At The Rubinstein Law Group, we restrict our practice to representing injured clients. Carlsbad personal injury attorney Zev Rubinstein is well-respected in the legal community. If you have been injured due to an unsafe condition, call the Rubinstein Law Group today at (760) 804-2790 to schedule a consultation with our premises liability lawyer in Vista.